We would like to thank Rupert Tebb, Jackie Ballard and Alcohol Concern for partnering with us, and helping to steer this project. We had the support of several excellent research assistants at different points in the project: many thanks to Kiki Papachristoforou, Min FitzGerald, Abby Severn, Stefanos Koryzis, Eliot Rothwell, Zeenat Rahim and Kulvir Channa. Claire Malaika Tunnacliffe, Zed Gregory (From Greyz design) and Cassie Gibson not only helped with this project but kept Club Soda going. Cheers! At Hackney Council, we would like to thank Tom Dunn, Matt Clack, and Louise Brown at the Public Health team, David Tuitt at the Licensing team, and Cllr Emma Plouviez for their interest in the project, and their generous support. Also thanks for their time and insights to Janice Gibbons and Emma Corker from Islington Council, and Farrah Hart from the City of London. For insights into soft drinks, we would like to thank Duncan O’Brien from Dalston Cola, Chris Banks from Newton Apple Fizzics, Ounal Bailey from Britvic, and Robyn and Ed from Square Root London. Our beer experts are Stuart Elkington from Drydrinker.com and Dani Neal. 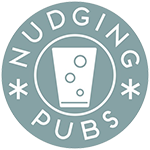 Thanks also to The Duke of Wellington pub in Dalston and Lauren and Machine No:3 pub for providing the venues for the beer tasting events and Neil Williams at the Beer and Pub Association for advice. For advice and pointing us in the right directions we’d like to thank Jenny Winhall, Craig Edney (Hydromel Events), Ian Redpath, Caroline Wood & David Crane & Claire Garnett (UCL), Jeremy Ledlin (Chair of Dalston Pub Watch), Ian Leete and Ellie Greenwood at the LGA, Ed Cooke, Nic Rattle, Rob Kidd, Gareth Epps, Mark Dodds, and Julie Whittaker. Very special thanks: to all the Club Soda members who took part in the surveys, interviews, workshops and experiments, and everyone else we spoke to. And finally, many thanks to all the pubs, bars, their managers and staff both in Dalston and elsewhere. We now know about the many day to day pressures they face, which made working with them a challenge at times. And, perhaps understandably, some of them were slightly suspicious of the project. Over the course of the research we hope we managed to overcome at least some of these barriers.